Last week was quite a successful one in Washington for the plaintiffs’ bar. First, as WLF’s Rich Samp detailed in a May 22 Legal Pulse post, the Solicitor General of the U.S. opposed federal preemption of state failure-to-warn suits against medical device companies. Then, the following day, the Senate Judiciary Committee shelved legislation meant to curb abusive litigation and related activities by “patent-assertion entities” (PAEs), a.k.a. patent trolls. But attorneys who represent PAEs, and the private businesses that may benefit from PAE activity, should temper their enthusiasm. The concept of “patent reform” will persist during Congress’s timeout. Various Executive Branch entities are working to shine a light on patent troll misbehavior, and the federal judiciary is gradually becoming less tolerant of patent litigation abuse. Consider the following examples of such non-legislative activity. Federal Agencies. While the White House made the biggest splash on patent litigation last June with a Task Force on High-Tech Patent Issues report, far more impactful work regarding PAEs is being done at the Federal Trade Commission (FTC). For the past year, FTC has been conducting a formal “6(b)” study of PAEs. In a May 19 Federal Register notice, the Commission noted that it would be sending information requests to 25 PAEs as well as 15 wireless communication industry manufacturers and patent holding companies. 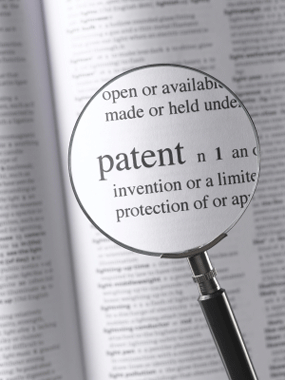 Those latter requests could signal an increased focus on what some term “patent privateering”—the assertion of a patent by a third-party entity (the “privateer”) for the benefit of a “sponsor” which may have once owned the patent. A May 21 WLF Media Briefing (click to view the video here) focused on this practice and whether it exposes the privateer or the sponsor (such as a manufacturing company) to antitrust liability. The panelists, which included the FTC’s Chief Intellectual Property Counsel, discussed and debated the competitive impact of patent privateering. Federal Courts. A number of the reform ideas advanced in Congress sought to clarify or strengthen tools that federal courts already possess. Patent reform proponents can still encourage judges to use these tools in PAE-driven lawsuits while also advancing legal doctrines which deter abusive litigation. 1. Award Attorneys’ Fees. Section 285 of the Patent Act empowers federal courts to award “reasonable attorney fees” to the prevailing party in “exceptional cases.” Judges have not made liberal use of this provision, and the U.S. Court of Appeals for the Federal Circuit has considered appeals of fee awards under a rather exacting standard of review. Numerous proposals in Congress would have fortified this fee-shifting mechanism. On April 29, the Supreme Court issued two rulings that should encourage judges to impose fee shifting more often. In Octane Fitness, the Court ruled that the Federal Circuit must grant district judges’ determinations of whether cases are “exceptional” greater deference. In Highmark, the Court decided that instead of applying the current de novo standard of review, the Federal Circuit should apply an abuse of discretion standard in deciding appeals involving attorneys’ fees. 2. Strengthen Pleading Standards. Some patent reform bills proposed new standards for the amount of information plaintiffs must provide in patent complaints. As with attorneys’ fees, this is another reform made necessary by flawed Federal Circuit jurisprudence. As discussed here previously, the Federal Circuit has held that an antiquated form (Form 18) offered as a guide under a Federal Rule of Civil Procedure governs patent complaints, not Federal Rule 8, which the Supreme Court has held “demands more that an unadorned, the-defendant-unlawfully-harmed-me accusation.” An Advisory Committee on Federal Rules has recommended the elimination of Form 18. That new rule won’t be implemented until December 2015, but perhaps the Federal Circuit will choose not to delay the inevitable and will reverse its misguided interpretation of Form 18 before then. 3. Reinvigorate the “Customer Suit” Exception to Protect End Users. Patent-troll suits against coffee shops, grocery stores, podcast creators, and other “end users” of technology inspired introduction of legislative reforms to protect such non-tech companies from liability. Last year, we blogged about a doctrine in patent law known as the “customer suit exception” under which courts can put suits against end users on hold if the manufacturer of the allegedly infringing product files a declaratory judgment suit against the plaintiff. The Federal Circuit has interpreted and applied this doctrine in a needlessly narrow fashion. Technology manufacturers and users should challenge this crabbed interpretation when opportunities arise. Such an approach certainly would not achieve the full liability protection offered in some legislative proposals, but reinvigorating the customer suit exception could deter trolls from suing end users. 4. New Precedents.The U.S. Supreme Court may soon provide litigation defendants with further, albeit less specific, legal weapons against patent trolls. By the end of June, the Court will issue opinions on one case involving induced patent infringement (Limelight v. Akami) and another addressing the standard for “definiteness” in patent claims (Nautilis v. Biosig). Amicus briefs filed in both cases made frequent reference to how the Federal Circuit’s current jurisprudence on those issues facilitates abusive patent litigation. An April 11 WLF Legal Backgrounder goes into greater detail on these cases. The Long Game. Proponents of legislative reform have publicly bemoaned the Senate Judiciary Committee’s decision, while opponents have cheered. But privately, both sides would agree that this is probably just the end of the beginning. Absent an overwhelming national crisis, legislative change is normally a lengthy process. In the meantime, proponents can spotlight patent litigation abuses, and perhaps even win some victories along the way, by training their focus on federal agencies and courts.